You might think most consumers start their online shopping sessions with a visit to Google, but according to a poll conducted by NPR and Marist, Amazon is actually the most common starting point for online shoppers. With 44% of shoppers starting on Amazon (which is 11% more than Google) and 40% of Americans buying products on the website at least once every month, Amazon has become the central hub for online shopping. If you’re in the eCommerce industry, selling on Amazon is your best bet for maximizing your reach and, ultimately, your revenue. To help you set up shop on Amazon, we’ve created this ultimate guide that’ll teach you how to list your products, set up your shipping options, promote your products, manage your reviews, and analyze your performance. Read on to learn how to sell on the eCommerce platform in 2019. 1. Figure out if the product you want to sell needs approval from Amazon. On Amazon, there are 20 categories open to all sellers, so if you want to sell products under any of these categories, you don’t need approval from Amazon. However, there are 15 categories that do require approval from Amazon, so if you want to sell products under any of these categories, you need to apply for a Professional Selling Plan subscription. Amazon limits the number of sellers in each of these categories because they want to maintain the quality of their products. So if you believe your products are up to par and want to sell them under these categories, you need to request approval from Amazon by filling out their application. Amazon will let you know if they’ve approved you or if they need additional information from you in up to three business days. Here are two lists of Amazon’s product categories that are open to all sellers or require approval. 2. Pick a selling plan that suits your business model. Amazon offers two selling plans: the Individual Plan and Professional Plan. If you choose the Individual Plan, you’ll pay Amazon $0.99 for every item you sell plus referral and variable closing fees. According to Amazon, the Individual Plan is best for sellers who sell less than 40 items per month. If you choose the Professional Plan, you can sell an unlimited number of products while only paying Amazon a subscription fee of $39.99 plus referral and variable closing fees. According to Amazon, the Professional Plan is best for sellers who sell more than 40 items per month. 3. Register for a seller account and list your products. To register for a seller account on Amazon, visit Amazon Seller Central and click the “Start selling” button. Amazon Seller Central is also where you’ll manage your selling account. After you’ve created your account, you can start listing your products on Amazon. If you have the Individual Plan, you can add one product to the Amazon Marketplace catalog at a time. If you have the Professional Plan, you can add batches of products to the catalog. Additionally, if you’re selling products that are already listed on Amazon, all you have to do is tell them the amount of product you plan to sell, the condition of your product, and its shipping options. If you’re selling products that aren’t listed on Amazon yet, the process is a little more complicated. You have to tell them what each of your product’s universal product code (UPC) and stock keeping unit (SKU) is and then list each product’s features on Amazon, like its title, description, and price. 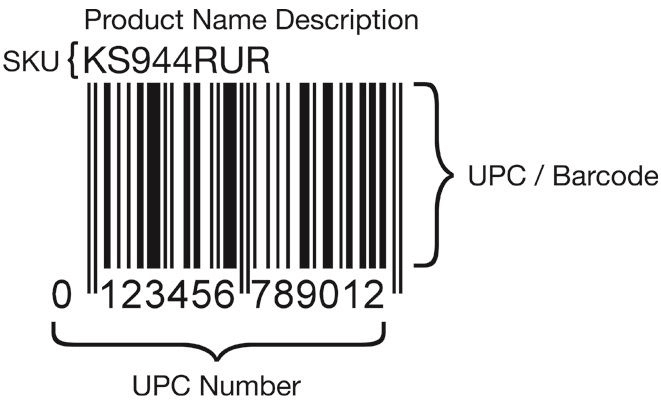 If you don’t know what a UPC is, it consists of a 12-digit numeric code and a barcode. The American branch of GS1, an organization that develops and maintains global business communication standards, assigns a permanent UPC to a product for its entire shelf life. So even if multiple retailers sell the product, it’ll still have the same UPC at each store. For example, every box of a certain brand’s blackberries will have the same UPC at every store they’re sold at. A SKU is similar to a UPC, but it differs from it by being a distinct string of letters and numbers that helps retailers identify every product in their inventory and each product’s specific traits, like its manufacturer, brand, price, style, color, and size. Retailers create their own internal SKU codes to quickly and accurately pinpoint and track every single piece of inventory in their retail stores, e-commerce stores, catalogs, warehouses, and product fulfillment centers. 4. Set up your shipping options. Even if you sell on Amazon, you’ll always have the option to ship products on your own. But Amazon offers a truly unique and advantageous shipping service for all their sellers that’s incredibly hard to pass up — Fulfillment by Amazon. With Fulfillment by Amazon, all you have to do is send your inventory to an Amazon fulfillment center and they’ll store your products, package them, and ship them to your customers. Signing up for Fulfillment by Amazon also makes your products eligible for Amazon Prime free two-day shipping, free shipping, and customer service and returns. Shipping costs are already included in your seller plan, so all you have to pay for is storage space and and a fee for each order Amazon fulfills. 5. Sell and promote your products. After you’ve set up your shipping options, you’re ready to start selling on Amazon. To attract as many potential customers as possible, make sure to craft compelling product listings that have clear and concise titles, benefits-rich descriptions, and vivid pictures. If you want to increase your products’ visibility on Amazon, consider running sponsored product ads directly on the platform. These ads are pay per click and will be placed alongside people’s search results. 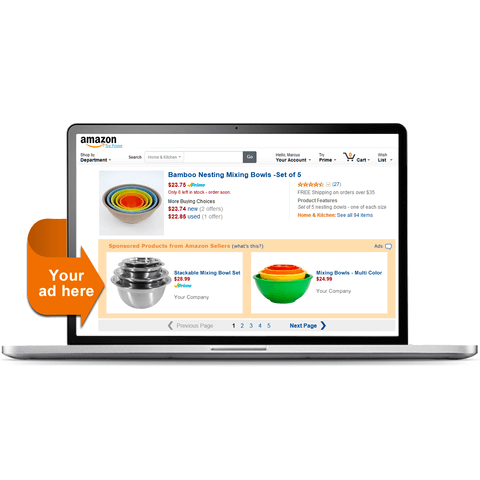 Amazon also offers an automatic ad targeting tool, which leverages their search algorithm to suggest a list of potentially lucrative keywords that you can bid on and promote your products through. Once people buy your products on Amazon, they’ll deposit payments into your bank account on a regular basis and send you a notification when they pay you. Reviews are crucial for driving sales on Amazon. The more reviews you have, the more credible and trustworthy customers will perceive your products to be. Fortunately, Amazon lets sellers send follow up emails to customers after they order one of their products and ask for product reviews. They even let you automate the process, but Amazon also requires you to follow a strict set of guidelines, which don’t allow you to include marketing messages, link to other websites, or ask for, demand, or incentivize positive reviews in these emails. In 2016, Amazon banned incentivized reviews — which were customer reviews given to brands in exchange for a free or discounted product as long as the reviewers revealed they received an incentive for their feedback. These incentives were artificially inflating brands’ average ratings, so Amazon decided they needed to level the playing field. With this in mind, don’t even think about trying to incentivize a positive review. Just send your customers emails that politely ask for a candid product review. On your Amazon Seller Central account, you’ll have access to a sales dashboard, which displays a snapshot of your orders for the day, quantity of units sold, the amount of sales you’ve generated for the day, and other metrics. 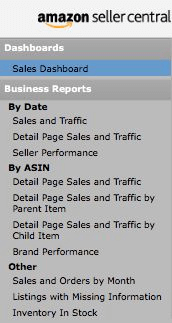 You’ll also have access to business reports that display metrics like sales by item, sales and orders by month, page views, brand performance, inventory in stock, and more. Additionally, you’ll have access to a “Compare Sales” graph that can compare any day’s sales to each other, which helps you discover seasonal trends and patterns. Finally, you’ll have access to a sales reporting tool that can pull any of your account’s metrics to produce a graphical representations of your sales data. 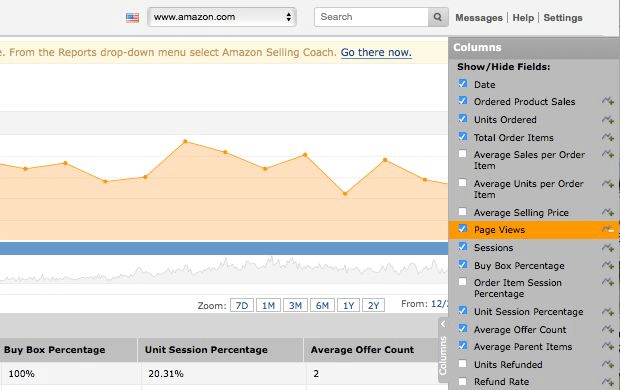 This’ll help you truly grasp how your Amazon account is performing.